The Unit 42 Don’t Panic podcast is back! Check out the latest episode exploring supply chain attacks. Our look into the evolving role of the CISO continues with why it’s important to incorporate regional laws and regulations into cybersecurity. Here are 3 important updates for Palo Alto Networks NextWave Partners. Learn how Palo Alto Networks is contributing to the growing emphasis on cybersecurity awareness and skills in the EU. We’re bringing hands-on disruption to Amsterdam! 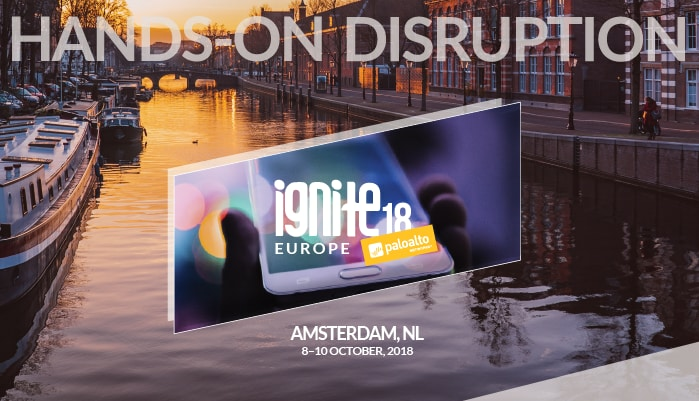 Learn more about Ignite ’18 Europe. The post News of the Week: June 23, 2018 appeared first on Palo Alto Networks Blog.